Yoga is not only the number one form of fitness worldwide, but when customized, it is also an effective tool for therapy. It works wonders for musculoskeletal problems like knee, back, neck and shoulder pain. Yoga practices can also be used to deal with some chronic illnesses. Traditional yoga asanas were conceived centuries ago for healthy and physically active individuals. Our lives today are sedentary in terms of physical activity. We look at yoga only when in pain, or are suffering from disease. It has become a remedy of last resort, when all else fails. Therefore, traditional asanas which were designed for fit people could actually harm individuals with damaged cartilage and joints. Asanas have to be adapted and customized; understanding the nuances of this adaptation is Yoga Therapy. Most of us have weak muscles which are incapable of supporting our joints and related movements. Often, weak muscles lead to unhealthily flexible joints. In such cases, flexibility for the sake of flexibility could destabilise joints. On the other hand, strength-based flexibility, which involves core muscle activation along with right breathing, can take one closer to the pain-free zone. At Param Yoga, we combine the fundamentals of Pilates with yoga asanas to bring forth benefits to our members who are in pain. Our aim is for a therapy patient to gradually move on from these one-on-one sessions to regular forms of exercises of their choice. To help them along the way our health batches act as gateways. 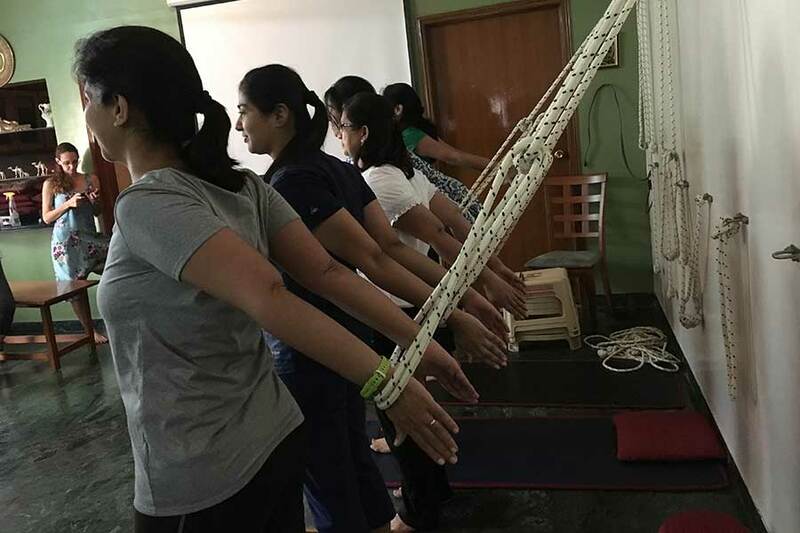 They are moduled along the principles of Yoga Therapy and act as a good in-between for those who are out of pain and on their path to normalcy.